The Supreme Court chief justice has vowed to fight “bullying” as President Duterte’s congressional allies launched an impeachment process against her. Voting 38-2, the House of Representatives justice committee said there was “probable cause” to impeach Maria Lourdes Sereno. Critics have alleged the move is part of an ongoing efforts by the president to destroy foes and usher in one-man rule. An impeachment trial in the Senate will follow if the House adopts the committee’s report, which is focused on allegations Sereno failed to pay about two million pesos of taxes. “All kinds of lies, threats, harassment and bullying have been thrown my way but I will not yield,” Sereno said at an International Women’s Day event in Manila today (Thursday, March 8). “I am fighting for our future as a freedom-loving nation,” she added, saying the case against her was an issue of “judicial independence”. The president has said this week that he had no hand in the impeachment. 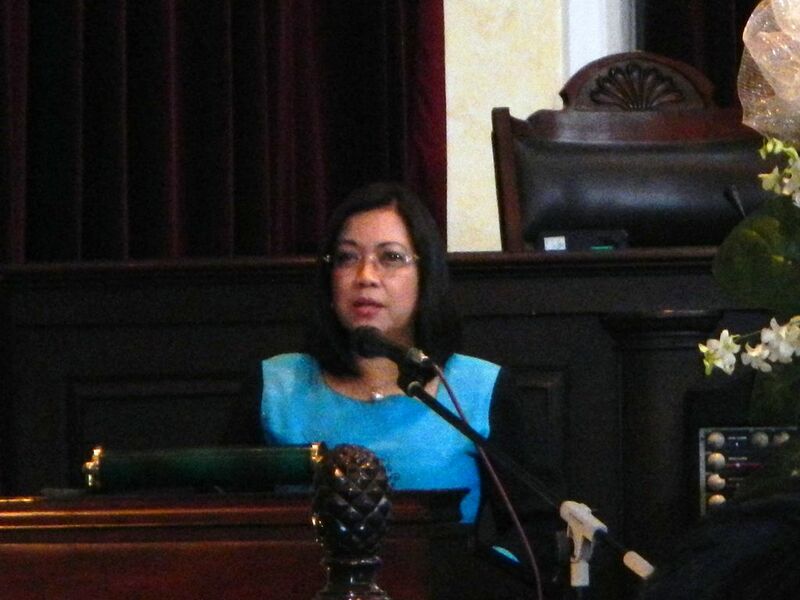 Alongside the impeachment case, Solicitor General Jose Calida on Monday asked the Supreme Court itself to oust Sereno under “quo warranto proceedings” for alleged failure to disclose assets. Justice committee chairman Reynaldo Umali said his panel would ask the lower house, which is dominated by Duterte loyalists, to send the case to the Senate for trial. The committee also accused Sereno of falsifying and tampering with court resolutions, excessive spending by buying a luxury official vehicle, staying in expensive hotels and flying business class. Sereno, appointed in 2012 by Duterte’s predecessor, is on an indefinite leave of absence to prepare for a possible trial in the Senate. Duterte’s ‘War Against Anyone Who Disagrees’ continues. He especially hates women who disagree. How about the billions of pesos in Duterte’s bank accounts? How about the trillions of pesos the Marcoses stole? They never paid taxes on those funds. Butcher: I will take the Philippines to the next World Cup!